The late Clr. 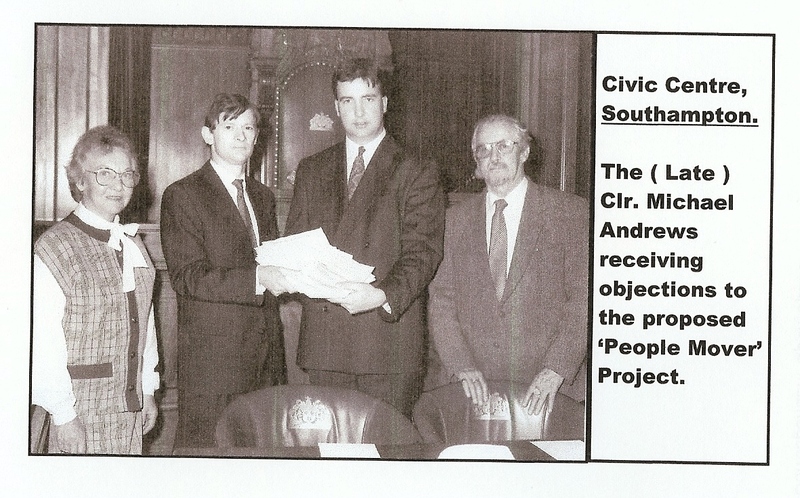 Michael Andrews receiving objections. 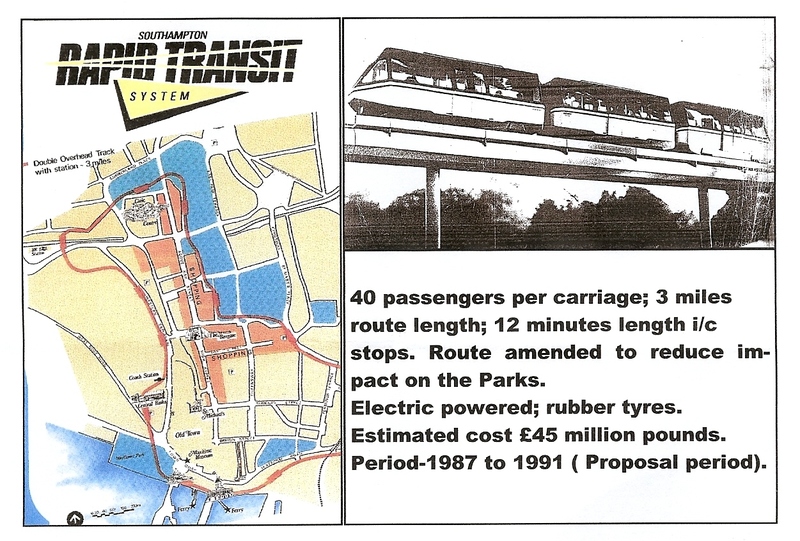 The Scheme was proposed by the Council during period 1987-1991. There was much public objection, particularly its proposed impact on the Central Parks. Subsequently amended to recognise the Parks’ care. Estimated costs approximately £45 million? After the Bill was defeated in Parliament ( thanks to the late Sir James Hill,MP. ), the approximate costs of the Scheme were reported as £901,000). We shall never appreciate the impact of the Scheme on Southampton. For a detailed history refer to Lubor Velecky’s history ‘Protect it now’ ( 2000)-section 16, pages 81-86. Thanks to the Southern Daily Echo for its archives’ information.